Amy J. Phillips, Esquire joined The Family Law Practice of Leslie S. Arzt, Esquire, in February 2017. 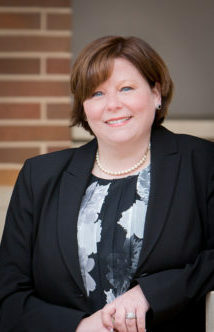 Prior to joining The Family Law Practice of Leslie S. Arzt, Esquire, Attorney Phillips was affiliated with two other law firms in York County were she gained sixteen years of experience in all aspects of family law including adoption, custody, divorce, equitable distribution, grandparents’ rights, pre-nuptial and post-nuptial agreements, protection from abuse actions, support issues and the termination of parental rights. Attorney Phillips is also trained in Collaborative Law. Attorney Phillips is active in both the local and state Family Law Sections. For the Family Law Section of the Pennsylvania Bar Association, Attorney Phillips serves on Council, which is the governing body for the state Family Law Section as well as sitting on both the programming and nominating committees for Council. Locally, Attorney Phillips is the current Vice-President of the Family Law Section for the York County Bar Association. Attorney Phillips also serves as the co-editor for case notes for The Pennsylvania Family Lawyer, a state-wide publication of the Pennsylvania Bar Association. Prior to relocating to York, Pennsylvania, and beginning a career in family law, Attorney Phillips clerked for The Honorable Jerome P. Cheslock of the Court of Common Pleas of Monroe County, Pennsylvania from August 2000 through August 2001. Attorney Phillips is a 2000 graduate of the Dickinson School of Law of the Pennsylvania State University and was admitted to practice law in the Commonwealth of Pennsylvania in 2000.